NEW YORK, November 22, 2010 – Over the last millennium and a half, the peoples of the upland regions of Southeast Asia have not been forgotten by civilization, rather they have chosen to not be governed, according to James C. Scott, author of The Art of Not Being Governed: An Anarchist History of Upland Southeast Asia, and winner of the 2010 Asia Society Bernard Schwartz Book Award. Scott’s study puts forward the innovative theory that the history of modern civilization is not always ineluctable progression toward statehood. In the book, Scott takes a fresh look at the rugged peripheral region encompassing parts of Laos, Thailand, Burma, Cambodia, Vietnam, Bangladesh, India, and China, which the scholar Willem van Schendal has termed "Zomia," borrowing a local word for "highlands." Ethnically and linguistically diverse, Scott sees the common feature of these peoples is that they are "stateless by choice." Scott marshals evidence from ecology, archeology, linguistics, history, and ethnography to put forward the novel theory that these people have not "missed" civilization, but have actively avoided it. "The argument has usually been that the peoples who live in this region are Neolithic survivors who never quite were capable of inventing civilization," said Scott during an address at the Bernard Schwartz Award luncheon at Asia Society New York, "I think that if you look carefully at the record it’s completely clear for the last 2,000 years—and the record is abundantly clear in the last 600-700 years—that these people are not people who are left behind, they are rather people who lived in the lowlands, were part of early states and who ran away from these states." 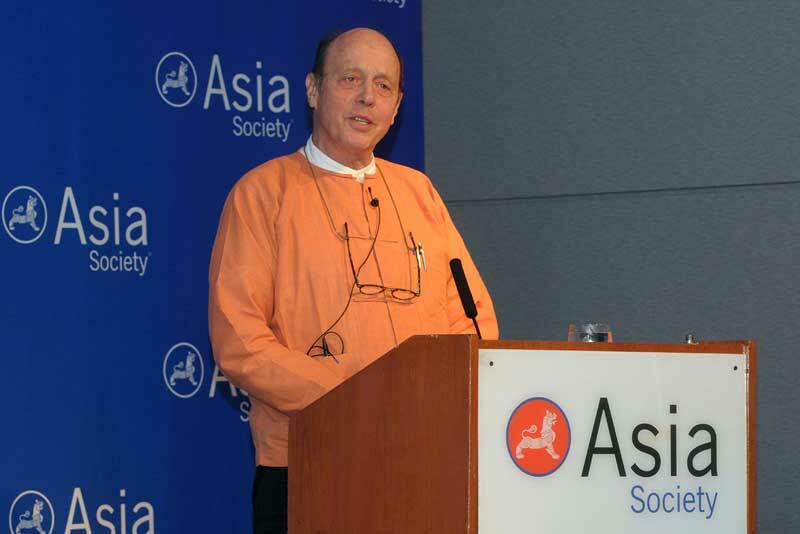 In conversation with Geoff Spencer, Asia Society Vice President for Communications, Scott explained that his study began with an interest in the tension between states and nomadic peoples. As he looked closer at the hill people of Southeast Asia, he began to uncover evidence that their lack of governments stems more from design than accident of geography. "There were a lot of epidemics where states were because people were crowded," said Scott. "So it was not only taxes, conscription, war and so on that led people to leave, it was also famine and epidemics." Since fleeing the lowlands some 1,500 years ago precisely to escape the negative corollaries of statehood, these groups have practiced what Scott called "a kind of democratic anarchy"—with self-policing ensuring no one leader gains too much power and no formal state emerges. Scott’s work was awarded the Bernard Schwartz Book Award for its groundbreaking scholarship and enlightening counterpoint to classical interpretations of the history of state formation.